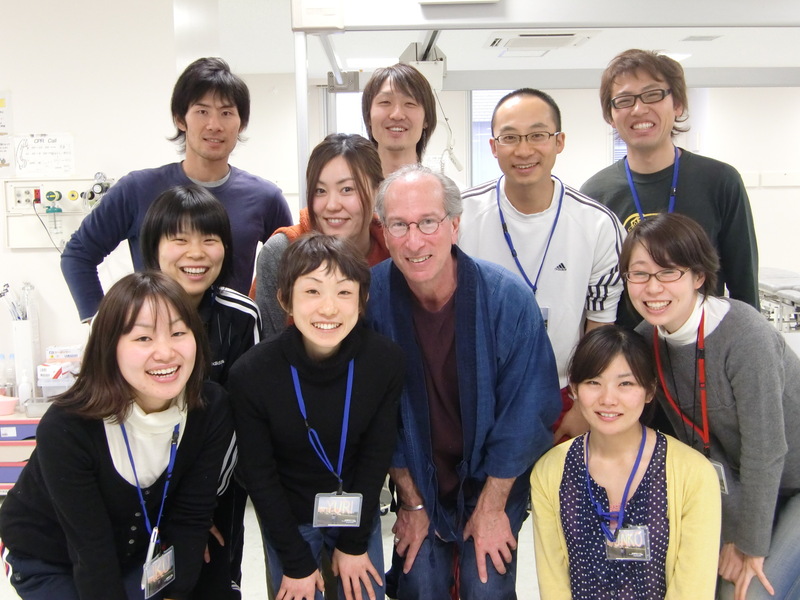 Great Team of Physical Therapists in Japan – Sugoi! Physical Therapists are wonderful to work with. They are comfortable with people, and with touch. They work long hours, and it is important for them not to hurt themselves. And that is my job – to take care of the people who take care of people. What is fascinating about this video is how Anchan videoed two short physical therapy sessions . And in each one, you can clearly see a dramatic change in how these good therapists were first working, and how they were even better after I showed them just a couple ways of working with less effort, and more effectively.